ON THE FRONT: Elric for MicroVisions! 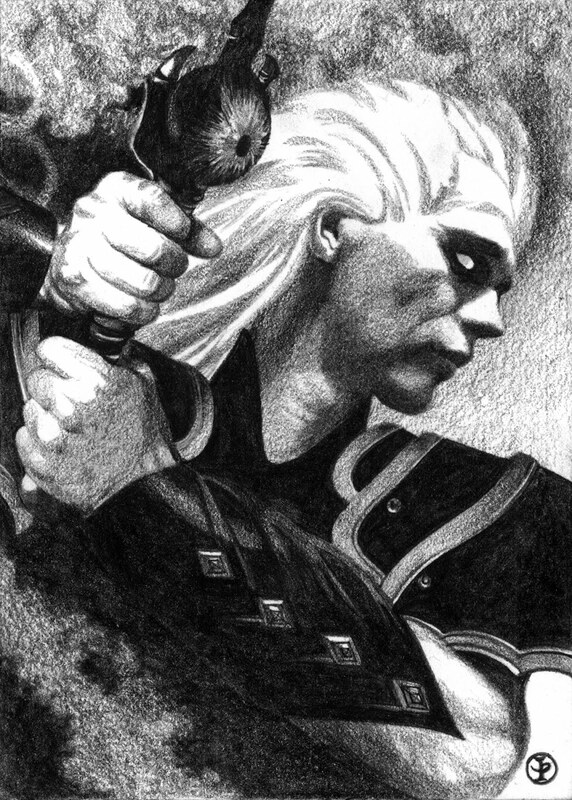 Here's my contribution to MicroVisions 2012 -- Elric of Melnibone! Pencil on illustration board, and as per MicroVisions challenge rules, it measures only 5" x 7". Worked on it during last week's World Horror Con in Salt Lake City, and finished it on the plane ride home. It can be yours and will be available for auction, with details coming soon. All proceeds benefit the Student Scholarship fund of the Society of Illustrators. Irene Gallo, Gregory Manchess, and Dan Dos Santos have organized this for the last several years. Worthy cause. Was honored to join Scott Bakal, Julie Bell, Scott Brundage, Brian Despain, Nathan Fowkes, Rebecca Guay, Scott Gustafson, Dan Dos Santos, Peter de Seve, Chris Rahn and Terry Whitlatch in support of this year's effort.